The thunder god has a disturbing habit of misplacing his weapon - the mightiest force in the Nine Worlds. But this time the hammer isn't just lost, it has fallen into enemy hands. 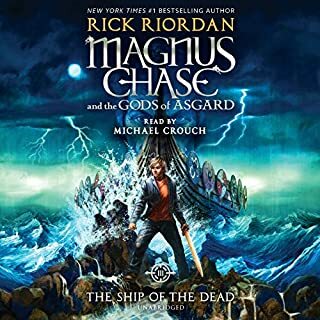 If Magnus Chase and his friends can't retrieve the hammer quickly, the mortal worlds will be defenseless against an onslaught of giants. Ragnarok will begin. The Nine Worlds will burn. Unfortunately, the only person who can broker a deal for the hammer's return is the gods' worst enemy, Loki - and the price he wants is very high. 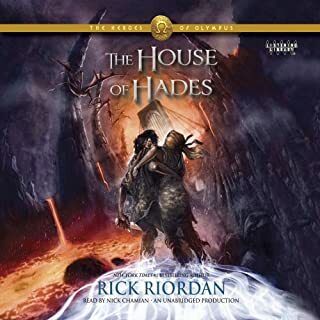 The book is amazing like EVERYTHING Rick Riordan writes. It's a book you can listen to multiple times and not get bored of it. The way it is read is good. He puts a lot of emotion into his reading. It is a great listen. The Hammer of Thor picks up where the Sword of Summer left us, alas, it left me rather disappointed. 1. There seems to be less magic and richness. 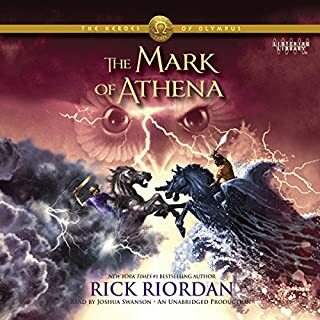 The first book made some very nice efforts to give the strange, wonderful and weird feel of the different worlds and all the mythological entities. This book, it just does not give the same magical atmosphere to me. Of course it is partly due to visiting many known locations, but I found the descriptions less compelling and atmospheric overall. 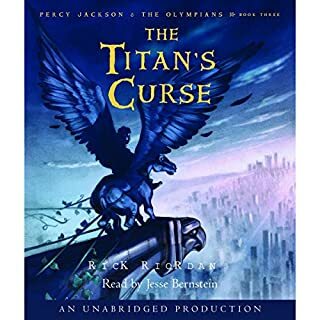 I think the sequels of Percy Jackson, or the Kane Chronicles were better in that regard. It may be a bit subjective, but it left less of a powerful impression, unlike the first book which created an actual wish to revisit it. And his plans seem not to be worth his trickster god fame either. The new character, Alex Fierro, child of Loki. 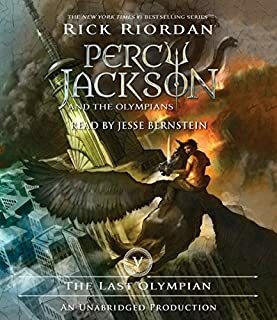 I feel a bit torn here because as a gay man (still a teen when the first Percy Jackson books came out), I definitely liked the fact that Rick Riordan included homosexual / bisexual characters before. 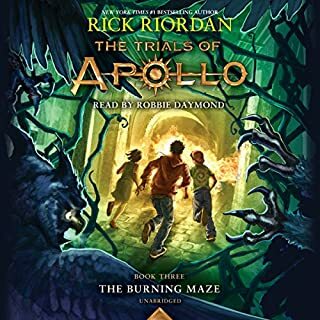 I found it refreshingly true to the original myths in the Trials of Apollo and I thought that it was very relatable and quite authentic in The Heroes of Olympus. I could relate to that, I thought it was appropriate and it did not take a more important tole than other topics like issues with step parents, or the other issues the young protagonists face. The problem is maybe that very thing: non binary Alex Fierro is not a character who we see struggle and come to terms with their problems, not someone who we can easily relate to because we can see them figure things out for themselves. Alex is there and the focus seems to be more how other characters have to deal with her/him. I really think that is a bad choice. We do not see Alex having to deal with the same kind of condescension Magnus had to go through, people praise her performance and skills (of which she, or he occasionally has many), we see a character who is confrontational, pretty much always gets to win and excel and who never has to face consequences. Especially because of the parallels to Magnus, it is pretty obvious that there is a double standard that does not make Alex very likeable. Sorry, but that is not any sort of positive inclusion, this is pushing things on other people, both in the story and outside. That does not help to make people tolerant and ready to accept others, this serves to dig the rifts deeper. And this is alas not something that stands out from how these topics are handled by media in general very much. Alex is more a political statement than a living, breathing character you can relate to. 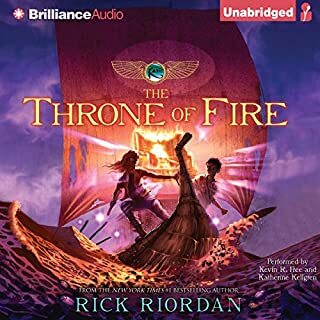 I never took too much to Samira in the first book, but she does at least get her flaws and her struggles and I actually found the point of being torn between her traditional background and her wanting to have a career and being a Valkyrie a nice plot point. My own Muslim friends have had their struggle with that and I know that it is not easy to resolve. For a thought exercise, imagine a devout christian girl in Samira's place who would have the same sorts of attitudes and behavior. Would you expect the same kind of treatment? I honestly doubt that there would be the same universal respect and careful avoidance of problematic issues. If those words were just used in jest, it would be actually funny, but please, please do think of what you actually are saying here! 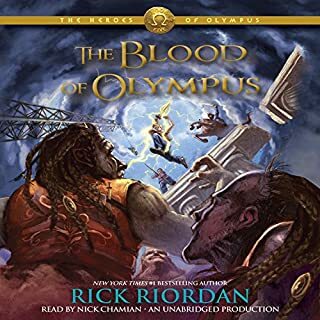 Cultural appropriation, if taken seriously, would pretty much lay waste to every book Rick Riordan has written. If you write about the mythologies of other cultures, other religions, how can you take such a ludicrous concept as cultural appropriation seriously? Are you aware what we would have to excise from our daily lives if we wanted to make a stance against cultural appropriation? Starting with the very letters we use, which are not of American, not of British, not of German, French or Spanish origin? Think about how many things have passed from one culture to another and then reconsider the idea of one culture "owning" something and you will realize how silly it soon gets. And how shall we see someone, who both insists on everyone around her adapting to her wishes regarding how she is to be treated while at the same time saying something like "it is not my job to educate you". You can say that if someone demands explanations from you which you neither have the time, nor the inclination to give, but if you refuse, then how can you at the same time demand from them to inform themselves and change their behavior accordingly? I am gay, and when I want people around me to change their attitude, then the very thing I will do and have to do is try to educate them! That attitude seems lazy and entitled. People have fought for their tolerance, their equality under the law, chiefly by educating and informing the majority of people that discrimination and prejudice are wrong. We owe a lot to all the brave people who stood up and did educate others, even when it cost them much more than a bit of patience and time. I cannot accept that attitude, it just seems like a slap in the face of the people who fought so hard for us nowadays getting to grow up without having to be afraid of being persecuted by the law or being without recourse when someone attacks you for what you are. Ok first off if you make all the voices to all the characters the same then you ruin the book completely. Plus he reads to fast. I had to rewind a lot to understand what was said. What happened to the first guy from book 1 he was awesome. 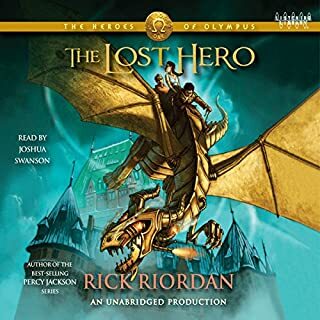 Even though the story was great the narrator really ruin the book for me. 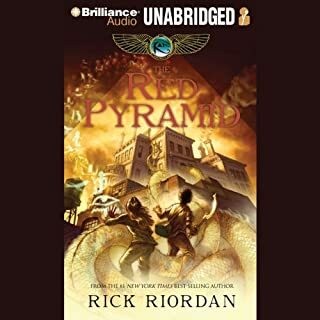 I just started this about 3 seconds ago, and I immediately noticed that the narrator was AWFUL! I liked the guy that did the first book, but it seems no one else did. Who would you have cast as narrator instead of Kieran Culkin? Was The Hammer of Thor worth the listening time? 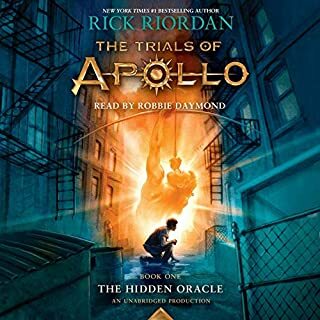 Rick Roeden should have the book Reproduced with the new narrator. Re-release this with the narrator from sword of summer, Christopher Guetig. This guy read the story way to fast and doesn't change character voices like Christopher did. 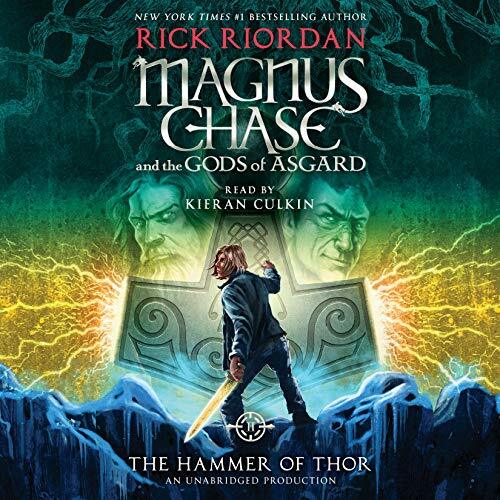 What other book might you compare The Hammer of Thor to and why? 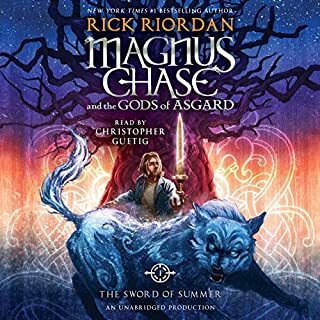 I just finished listening to sword of summer and enjoyed it and was looking forward to listening to this book figured it would have same narrator, nope. The book itself is great as I have read the book, the narrator is what ruins this book totally. 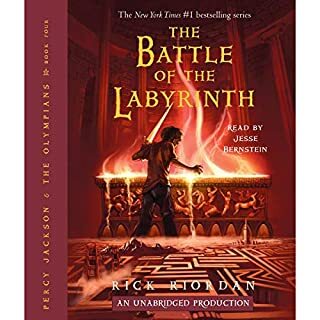 Re-record this with the same person as the first book. 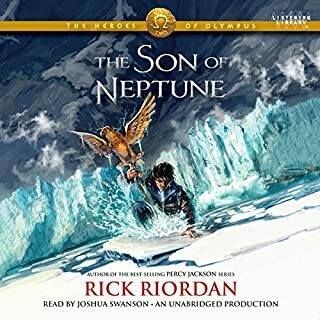 I wouldn't think Rick Riordan would like the way Kieran butchered his book. 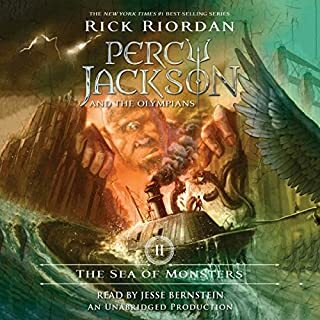 First things first, the story itself is amazing and really cool, however, the narrator almost ruined the whole thing. 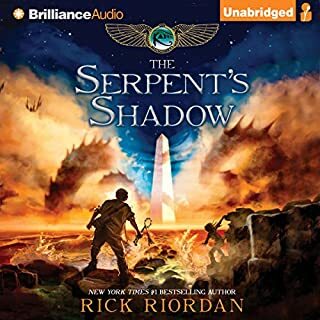 I love Riordan's books but good lord, Kieran's narration is ear bleedingly awful. It's monotonous and he sounds like he's speed reading and I couldn't tell the difference between his male voices and female or when he was talking as a giant or god. It all sounded the same. I normally have a high tolerance for bad voice acting and whatnot but this was pushing the limits of my tolerance. I normally don't say bad things about others, but for the love of Odin and his PowerPoint presentations, get someone who knows what they're doing for the next book. If you're looking at getting this book, be sensible and buy the hard copy or ebook. the book was great but the guy reading was bad. too fast and hard to keep up with the parts due to him not changing anything while he read. wish they would bring back the guy from the first book. 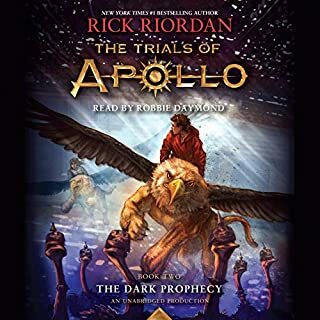 I liked the first Norse narrator, and love the narrator for the current Apollo series. Sadly, Culkin is terrible. He's incredibly fast, monotone, with a permanently sarcastic inflection. It was hard for me to listen to him and we just had to plug along to get this one done. It was also my 14 year old's least favorite narrator. We almost gave up with the one as a result. Substantively, it was okay. 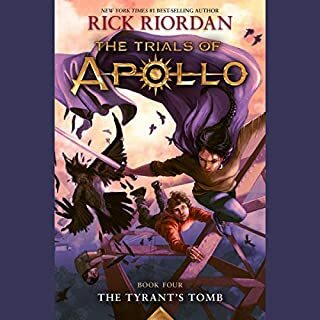 I agree with Riordan's tolerant, diverse views, but am worried some of his attempts at more diverse characters are getting a bit forced. I thought the trans/nonbinary character Alex worked fine. On the other hand, I think Samirah and her relationship with her religious beliefs was a bit breaking the fourth wall or something similar. One of the suspension of belief tenets of these books has been how to reconcile current religious beliefs with verify specific gods and afterlife descriptions. It nagged at my mind a bit early on, but he solved that by having his demi-gods and their families as pretty secular or at least non-literal-interpretation religious types. And my guess is that fits most of his readership. I'm just not sure if I buy his attempts to reconcile the two things, and I feel it would have been better to skip having a character who is both extremely devout and in a religion that requires literal interpretation of religious texts and eschewing of other religious beliefs and gods. I would have felt the same way if she were a providential, quiverfull Christian. It seems as if the narrator did no research on the subject. His voice was flat and unexpressive. Story was good.